Brynovation.com: Is Retweet just a bad name for a good function...? Is Retweet just a bad name for a good function...? I have been involved in and seen a lot of conversations recently about Twitter and its new Retweet function (which at the time of this post is missing although I do expect it to be back). Now the conversations have been mixed. Some like it some hate it but as with anything relating to this ground breaking communications platform, it is causing a lot of conversations. Now I totally understand peoples problem with the function as it restricts and “changes the game” relating to the way they have already been retweeting others for some time. However, where I think the real issue lies is with their branding of this function. Calling it Retweet has only caused confusion; it is not a Retweet in the traditional sense as created by “the crowd” some time ago. So what is the answer? 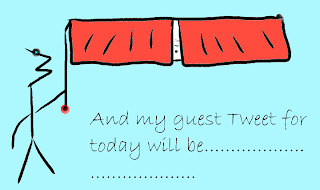 I think that if you have a problem with the function then change its name in your head to “Guest Tweet”. I have chatted to a few people about this and it has actually gone some way to change their perception of the function. The way I view it is that it is a guest tweet in my stream to others. Something like, here is a tweet that I like from user x, this is the reason I follow this user and hey, if you like me for a similar reason that I like them then maybe you would like to follow them? It is almost a follow recommendation (traditionally #FollowFriday or #FF) function to subtly recommend other users to your followers.